It is very important in these days of very low cost consumables to make sure that those products are up to a standard and not down to a price. What we mean is that some products simply don't do the job in the way that you might think they would; while they look satisfactory, they are often not correct by design, we hear of more and more issues with really cheap rhinestones & crystals (for example) than almost anything else. And the heat transfer sheets can be problematic too if just the price is the reason for buying; at Ioline we only sell and supply the right products that are up to a defined standard of quality so our customers can be sure that there will be no issues later on when these products are used. We know there are some great suppliers with really great products out there but we do see some issues with less than expected quality supplies so it makes sense to buy what you know will work, first time every time. If you want products that will work time and time again then you need to consider Ioline supplied products. For rhinestones that consistently give a poor or bad result it is highly likely that the rhinestones that you are using have no uniform size or often shape. In those cases it might never be possible to make any rhinestone placement machine work correnctly because of those stones. This problem is often associated with very cheap far eastern rhinestones. If you are having those issues firstly obtain decent rhinestones of a uniform quality that are mentioned here to eliminate the rhine stones out of the equation of those problems. If that does not resolve your issue then please contact us. Motifs are created by placing stones on heat transfer sheets. 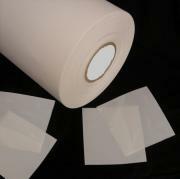 CrystalPress sheets are customized to work in the machine. Two versions of the sheets are available, a 26 pack of 15.75" x 13.5" sheets and also a 10 pack of 15.75" x 31.5" sheets (stand recommended for this product). 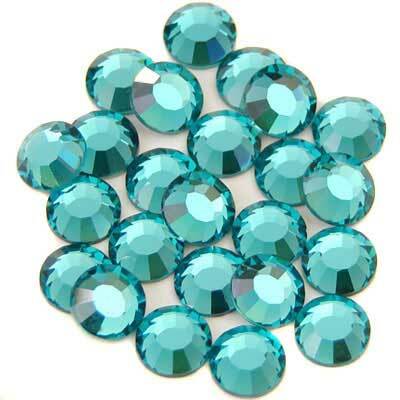 Rhinestones come in a variety of colors, shapes and price levels. Ioline stocks and sells Preciosa Crystals and Premium Rhinestones and Octagon Rhine studs. We also sell Swarovski Crystals by special order. Ioline CrystalPress works with these and other Rhinestone brands. Please contact us for help determining if your Rhinestones are compatible. For UK & European enquiries call +44(0)1782 544700 for immediate assistance.